SOUTH32 today unveiled a $1.3bn all-cash swoop on Arizona Mining, a US-based zinc development firm in which the Johannesburg- and Perth-listed group had previously bought a 17% stake in 2017, later increased to 19.9%. The transaction, which is to be conducted at a whopping 50% premium to Arizona’s June 15 closing price, represents South32’s largest outlay in new business. It also reinforces a strategy of diversifying its geographic spread as well as build a position in the zinc industry. The group produces some zinc from its Cannington mine, but it recently downgraded its output targets owing to challenging geological conditions at the mine. In any event, Cannington is predominantly a silver and lead mine. South32 has generally stayed away from headline grabbing corporate activity, although it made an uncompleted $200m offer for the Metropolitan Colliery in Australia. Instead, it has sought investments in early stage exploration. On May 29, for instance, it bought a 50% stake in Eagle Downs for an initial $106m, a metallurgical coal project, also in Australia. “Our all cash offer for Arizona Mining will allow us to optimise the design and development of one of the most exciting base metal projects in the industry,” said Graham Kerr, CEO of South32 in an announcement. He said the group had huge confidence in Arizona Mining’s key project, the Hermosa deposit situated south of Tucson: “Our deep understanding of this high grade resource and surrounding tenement package, and extensive experience at Cannington, makes us the natural owner of this project and ensures we are well positioned to bring it to development, delivering significant value to shareholders,” he added. 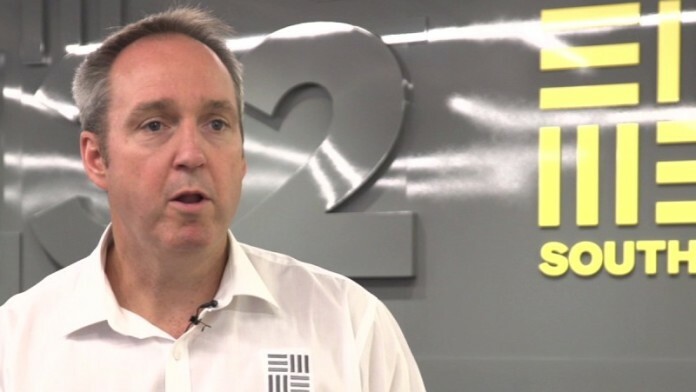 South32 said that its capital management strategy – in which it has undertaken to buy shares and return cash to the tune of $1bn – was unchanged notwithstanding today’s deal. The group had $2.8bn in cash equivalents as of March 31. Arizona Mining management and its board representing 34% of the firm’s issued share capital, have agreed to support the offer. South32 said the transaction ought to close in the third quarter of this year. A circular to Arizona Mining shareholders will be issued around July whilst shareholders in South32 are not required to ratify the proposal. Pre-production capital of some $519m has been estimated for a zinc mine in the Taylor deposit area of Hermosa, according to South32’s presentation today in which it cited some of the assumptions in Arizona Mining’s pre-feasibility study. Initial production of some eight years has been forecast. However, Arizona Mining has scoped for total capital expenditure of $1.24bn over the life of mine of 29 years. “It’s a little bit aggressive, but not by a magnitude,” said Kerr of Arizona Mining’s pre-feasiblity study in response to a Miningmx question. “We are the best company to develop this project: it has similarities with Cannington,” he said. Asked if the capital outlay was a reflection of a market suddenly aware of a potential crisis deficit in supply, he said: “Without doubt this is one of the best base metals projects around”. “While we are seeing increased corporate activity in the sector, takeovers still tend to be cash-based, rather than scrip based, suggesting companies believe that their equity is still undervalued,” said Investec Securities in a note to clients. “It is when miners start using scrip that we start to get worried,” it added. “The project will rank as the world’s fourth largest zinc producer and just behind Mt Isa mines,” said UK-based investment firm, SP Angel in a note which it headed with the observation: “M&A takes off in mining …”. It added: “Given the scale of this mine we are surprised that Glencore has not come in on this one”. South32’s offer for Arizona Mining came on the same day as a bidding for Australia’s Atlas Iron intensified following a $290m bid by entrepreneur, Gina Rinehart. Rinehart’s Hancock Prospecting, and Fortesque Metals Group, both recently acquired an 19.9% foothold in Atlas Iron. Kerr said the company would continue its strategy of investing in relatively early stage exploration companies, provided there was “a clear pathway to control”. He said the principals of Arizona Mining was at first reluctant to allow South32 to buy the company. “We have been working on this for 18 months. We would have tried to move on this quicker,” he said.